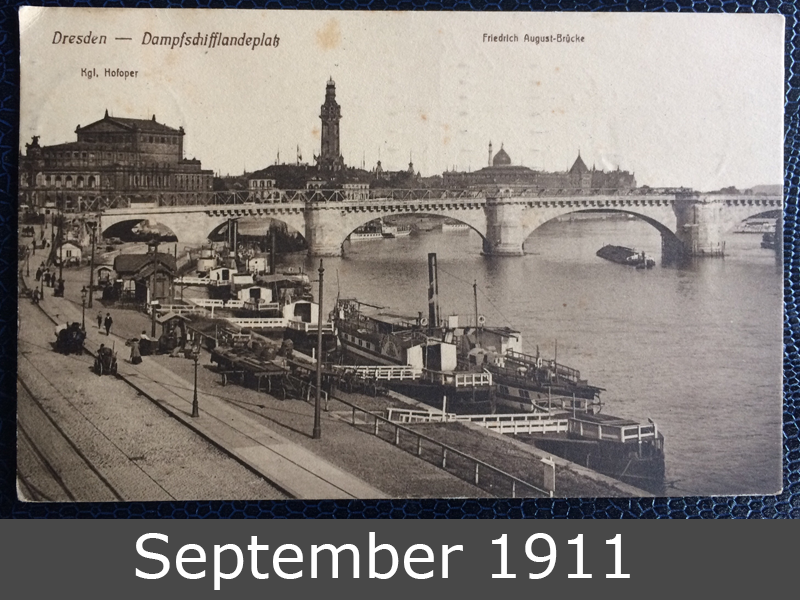 This postcard was sent to Munich in year 1911 and shows the river Elbe and the Friedrich-August-Bridge in Dresden, Saxonie, Germany. 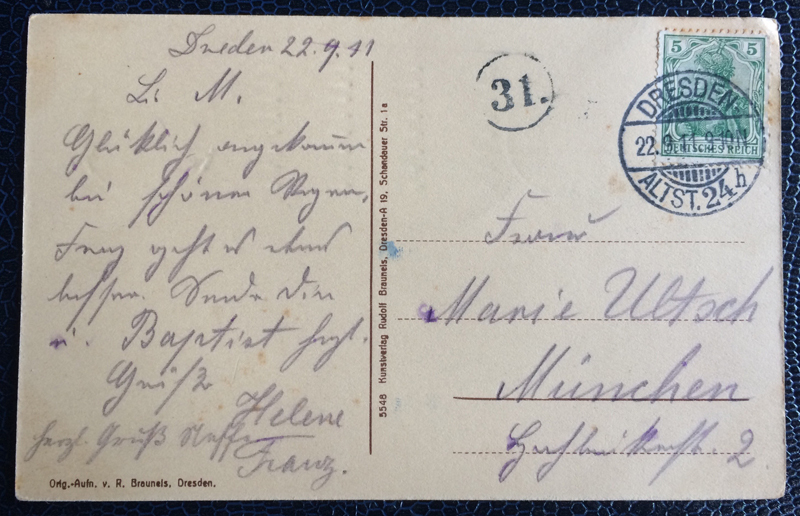 You can see in front the “Dampfschifflandeplatz”, the port for the steamships. You can use this steamships till today! In the background on the left, you can see the famous Semper-Oper.